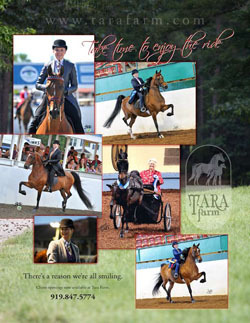 Tara Farm is a full service training facility. 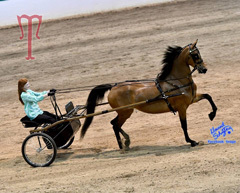 From breeding to training and showing, we specialize preparing young horses, pairing amateurs and junior exhibitors with world class show horses, and providing riding and driving lessons to individuals that do not own their own horse. Contact us for a current rate sheet of our breeding, training, and lesson services. We always have openings for outside training horses, please call or email if you have an interest in joining us at Tara Farm.